Sure, tragedies like this are never easy to deal with but as more and more things come out this whole situation becomes sadder and sadder. We are now learning that there was, in fact, an armed officer on the campus during the Parkland School Shooting and he did NOTHING. 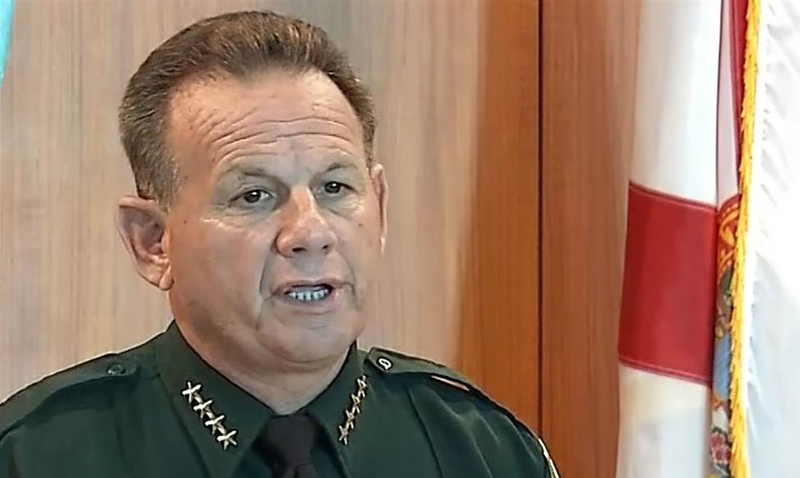 Sheriff Scott Israel said Deputy Scot Peterson who was assigned to the school as its resource officer was present during the shooting and that there is video footage (that has not yet been released) showing that he stood by and did nothing, he did not enter the building at all. Israel says that Peterson was armed, in uniform, and there. This was all gone over during a news conference just days ago. While to begin with Peterson was put on suspension but has since resigned completely and is ‘retiring.’ There is an investigation going on and that is why the video footage has not been released at this time. When asked what the resource officer should have done Israel said as follows; “the officer should have went in, addressed the killer, killed the killer.” Yes, this whole thing could have been over with a lot sooner than it was. I am sure that in itself is enough to make your stomach churn. The officer who was assigned to this school did nothing to protect the children in it. For more on this please check out the video below. What do you think the school resource officer should have done? Standing by and doing nothing is never the right thing to do, action is needed when it comes to situations like this one. In this video, the Sheriff also goes over more information on Cruz himself.